It will never not be a little weird to me to realize how popular the Fate franchise is, but the truth can't be denied: It's up there. Practically a household name among the nerdy and loaded enough to buy building-sized ads to put up outside E3, Type-MOON's baby has gone places, and continues to rise. 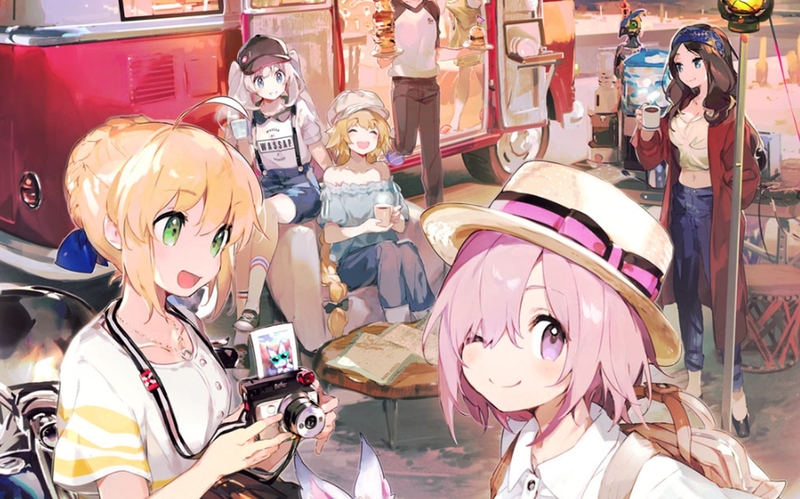 Most pertinently, it's also rising up the charts, as Fate/Grand Order is ready to celebrate hitting a whole five million downloads since the English version's launch in mid-2017. That's enough Masters to permanently kill a Demon God Pillar at least twice over! To commemorate the milestone, they're kicking off a special login promo for the next eight days, starting tonight at 20:00 PT. Players who show up each day can nab freebies, including enhancement fodder and five free summons on the premium gacha. A special summoning banner will also go live, putting the limited 5-Star Caster-class servant Leonardo da Vinci up for grabs. Fate fans that aren't about to get excited by a mere banner promo aren't left out in the cold, though, because Aniplex is getting ready to kick off a fan event called Fate/Grand Order U.S.A. Tour 2019. Featuring photo ops, activities, special guests and merch, the event takes place over the weekend of February 24th. Further visits to U.S. anime conventions are also planned for later in the year. Incidentally, an English release was also announced for Fate/Grand Order VR feat. Mash Kyrielight, a free PSVR experience allowing players to ogle FGO heroine Mash (and later, Altria Pendragon) from the comfort of their headsets. And there's more. The Fate franchise as a whole celebrates its 15th anniversary this year, so Japan-local fans can soon visit Aniplex's planned celebratory events, including an exhibit in Roppongi and more to come.